Adult human behavior is extremely difficult to change. And yet, helping others change their attitudes, approaches, behaviors, and skills is something that leaders and managers are called upon to do. I am therefore always looking for suggestions to help my clients work with their teams and to add to my personal arsenal of techniques that I use to challenge, coerce, push, and support my coaching clients to change. Focusing on one thing at a time – a former client used to call multi-tasking “multi-ignoring.” It’s not possible to effectively handle more than one task, or make more than one change, at a time. Trying to get someone to change eight things at one time will likely mean that nothing changes. Sometimes you have to focus on only the most critical issue or change. Using social pressure – research shows that we respond to others’ expectations of us and we are more likely to move ahead with a choice or a behavior if people we respect and admire have made the same choices and changes. One way to do this is to help your staff establish “accountability” partners and groups, which are socially acceptable ways to use the power of individual accountability and sometimes guilt to push ourselves to change. It’s a structure we often use in our leadership programs. Making it real – Hansen writes of painting vivid pictures of the “ugly” place one is now and the better place one hopes to be. This is also something we use in leadership programs, and which can easily be done in team meetings to create stories, visions, and other emotionally poignant images that can spur your team towards their desired change and help them grow. Even Bruce Springsteen suggests we need to change and move on. Hansen’s seven other ways are equally as powerful as the first three and offer insight on how to get our teams, direct reports, organizations, and selves to make the changes we say we want to make. I urge you to read it. And to help yourself to our Critical Success Factors for Managing Change. 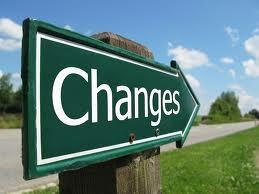 For help making changes in your work and life, and making them stick, contact Lisa at lkohn@chatsworthconsulting.com.